Austin Wolf-Sothern: This Month's Hoop Dreams Comedy Hour Or So! This Month's Hoop Dreams Comedy Hour Or So! 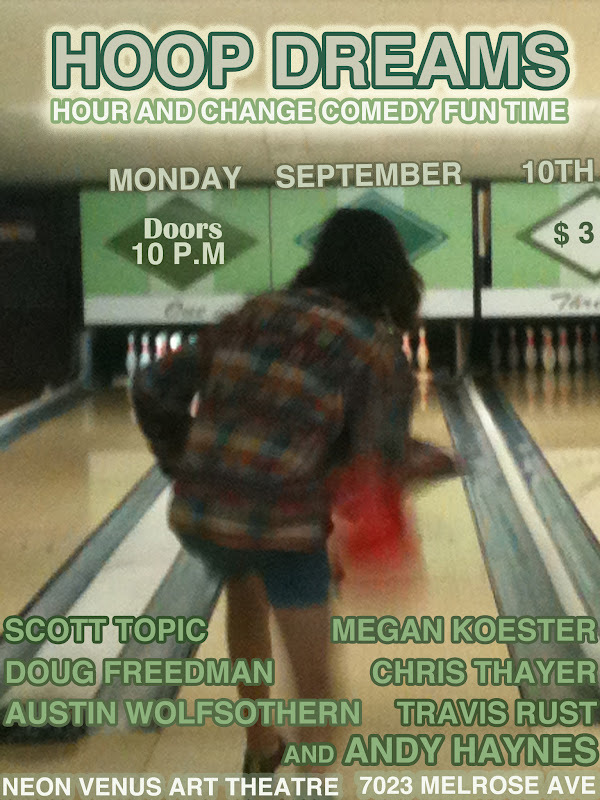 The next Hoop Dreams Comedy Hour Or So is Monday, September 10, and it's going to be amazing! Andy Haynes is headlining! He is great!